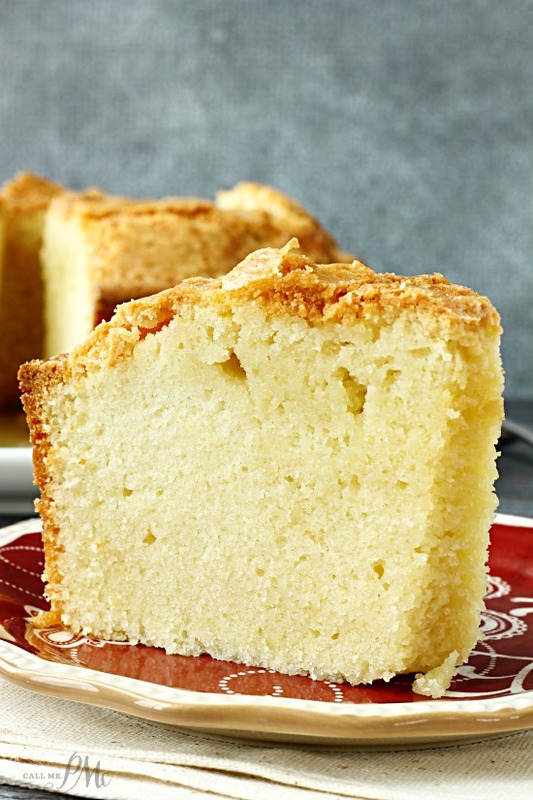 Whipping Cream Pound Cake Recipe is crusty on the outside and velvety smooth on the inside. 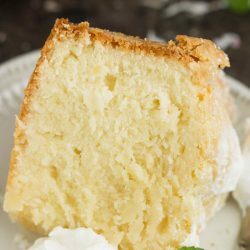 Both dense and moist, this Whipping Cream Pound Cake Recipe is a tried and true cake recipe that will become your family favorite! 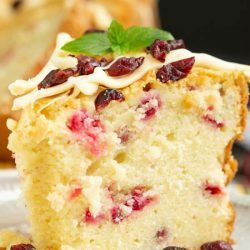 I have many Pound Cake recipes in my repertoire. 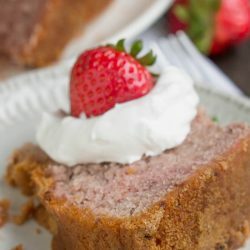 I have Whipping Cream Pound Cake Recipe, Cream Cheese Pound Cake, Sour Cream Pound Cake, Greek Yogurt Pound Cake, Chocolate Pound Cake, Blue Ribbon Pound Cake and the list goes on and on. 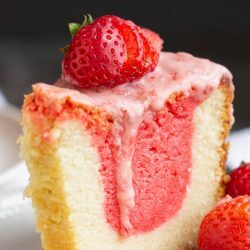 As I’ve stated before, desserts, in particular, Pound Cake are my most favorite thing to make. I’ve been wanting to do a series for you and it finally hit me, “Why not do the one thing that I love the most? 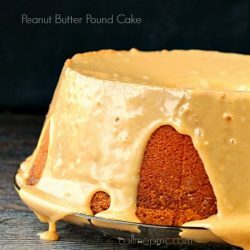 Make all the Pound Cake recipes and share them with you!” That’s precisely what I’m going to do over the next few weeks. 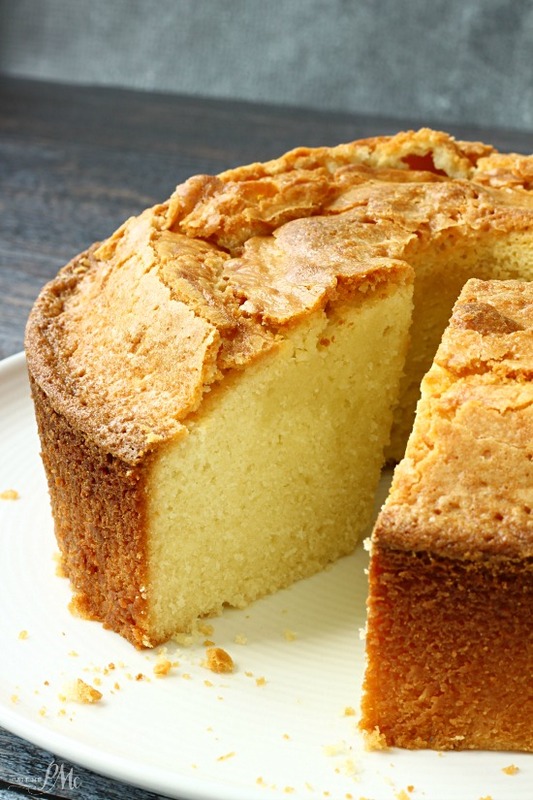 I cut this Whipping Cream Pound Cake recipe out of our local newspaper years and years ago. Then about 10 years ago, I also found it in a local cookbook with slight variations. Then I’ve made my own tweaks to the recipe and that’s what you’ll find below. 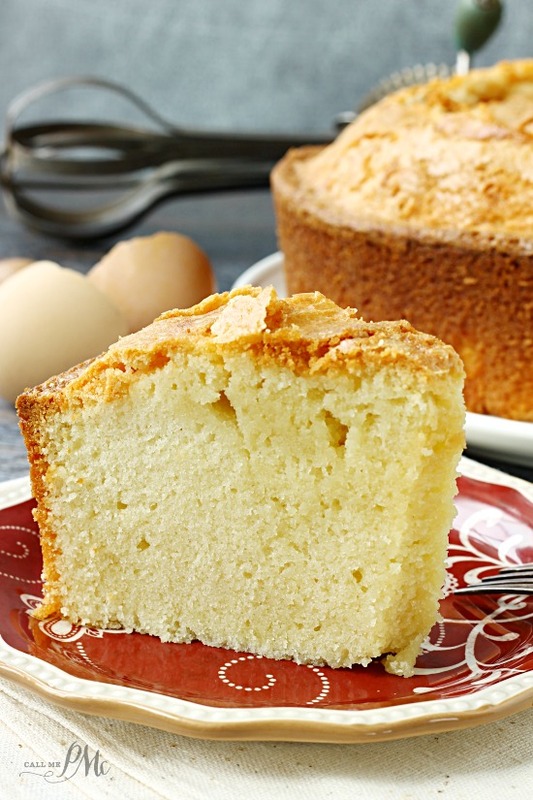 In the cookbook, they tell a story of how it was Elvis Presley’s favorite pound cake. Now, I live in the town in which Elvis was born. This very well could be true. Or, it could be false. Or, half-true. I’ve found that stories get bigger and more exaggerated the more they’re told so take that with a grain of salt. Along the way, I’ll give you tips and suggestions. I’ll tell you what I like about that particular pound cake and what I don’t. I foresee running extra miles too. 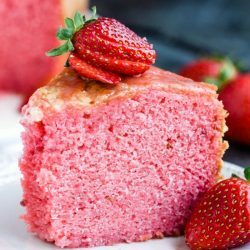 This pound cake is very dense and moist. The batter is thick and it takes a long time to bake, 1 hour and 15 minutes. It’s is worth the wait. 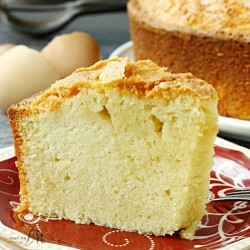 The pound cake is ‘crusty’ on the outside and has a soft, tender texture and small crumb inside. 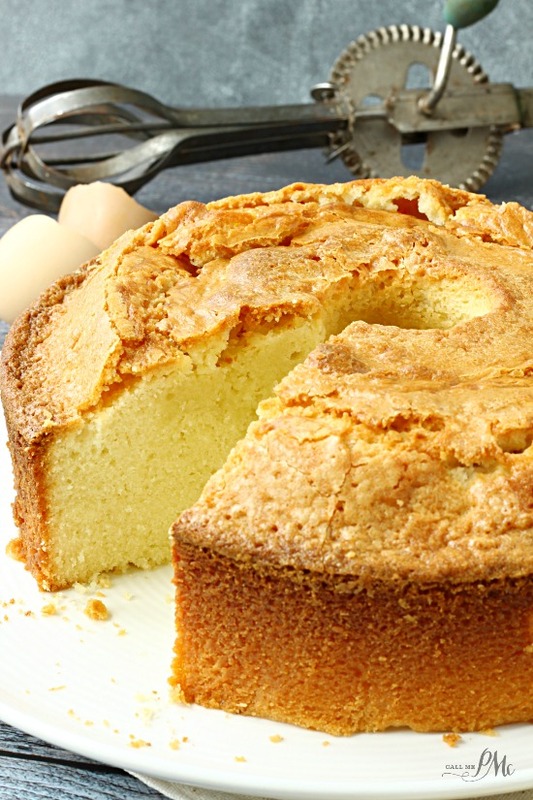 You’ll be tempted to take the cake out at 1 hour because the outside is golden brown. Do not. Test it carefully (without moving the cake too much) with a small, long wooden skewer. The cake is done with no crumbs or dry crumbs are on the skewer. 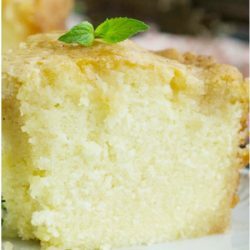 You may also like the pound cake recipe pictured below, click the photo for the recipe. 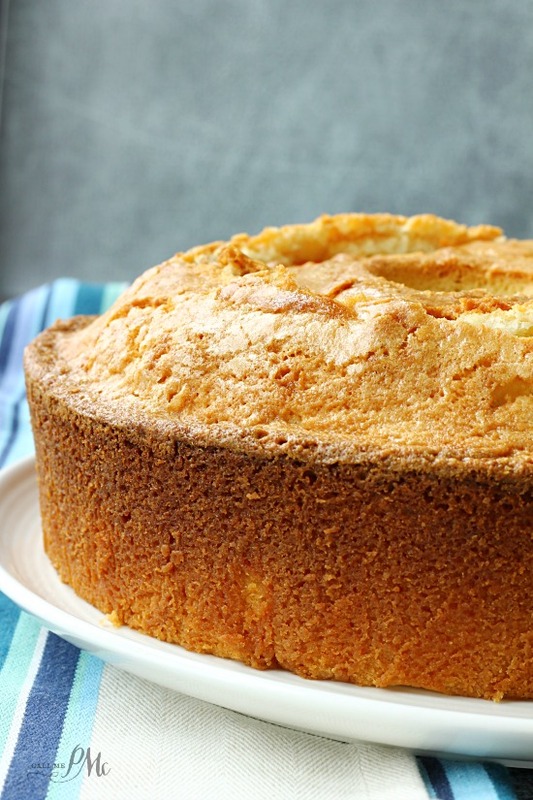 Also, get all my pound cake recipes here. Spray a 10-inch bundt or tube pan with non-stick spray or flour and grease pan, whichever you prefer. 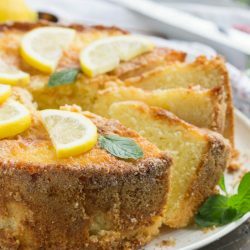 *If you have a 10-inch tube pan, wrap aluminum foil around the outside of the bundt pan to prevent any batter from leaking out. In the bowl of your stand mixer, beat on medium butter until smooth. Add sugar and mix until smooth about 2 to 3 minutes on medium speed. Add flour and heavy cream alternately to sugar mixture, beginning and ending with flour. Do we need any kind of baking powder? No, the eggs are the leavener. 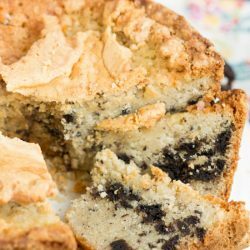 Has anyone tried adding chocolate chips to the pound cake? If so, how did it taste and did the chocolate chips sink to the bottom? I would like to know if the whipping cream should be room temperature or straight from the fridge?